When you need a dramatically dark backsplash, nothing will satisfy quite like our black backsplash ideas. You can dazzle and charm with timeless shades of black for a decidedly modern or contemporary space. Black doesn’t have to mean dreary and dismal. Instead, let black bring your kitchen to life with its natural drama. 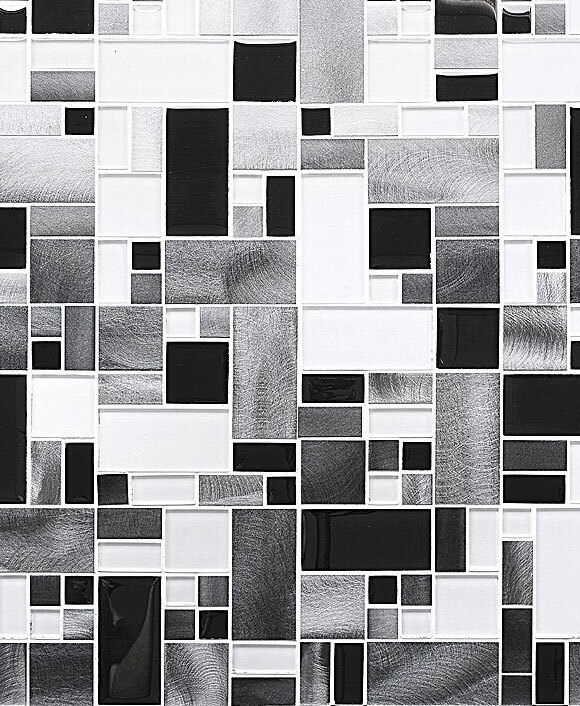 Browse our black backsplash tile products. When you need a dramatically dark backsplash, nothing will satisfy quite like our black backsplash ideas. You can dazzle and charm with timeless shades of black for a decidedly modern or contemporary space. Black doesn’t have to mean dreary and dismal. Instead, let black bring your kitchen to life with its natural drama. Black backsplash ideas can run the gamut from sleek, polished, and professional to retro, charming, and eclectic. Whatever your design preference is, our collection of black backsplash idea will help you to start turning the wheels. Your home will feel more glamorous in an instant with one of these ideas to help it along. Your home is certain to make a strong statement when you choose to carry through with those black backsplash ideas. Keep the contrast with plenty of bright colors to keep it from feeling too dark. Glossy surfaces will help reflect the light and make it seem much bolder than you ever imagined. Those polished surfaces will help you to keep it clean, making spills and water droplets roll right off. Simply wipe it clean with a damp rag and you can move on with the rest of your day in a snap. Black backsplash ideas are the perfect choice for homeowners who want to make a strong statement in their kitchen. Don’t forget that not only is it a beautiful choice, but the durability and easy upkeep make black backsplashes an all-around favorite.